Whether you’re a rock star creative in a top-ten agency or a freelancer running a business from home on a shoestring, graphic design is an absorbing, all-encompassing practice. Beauty is in the eye of the beholder and therefore disagreements occur and criticism can be hard to take. But it’s a great job because you spend time creating beauty. 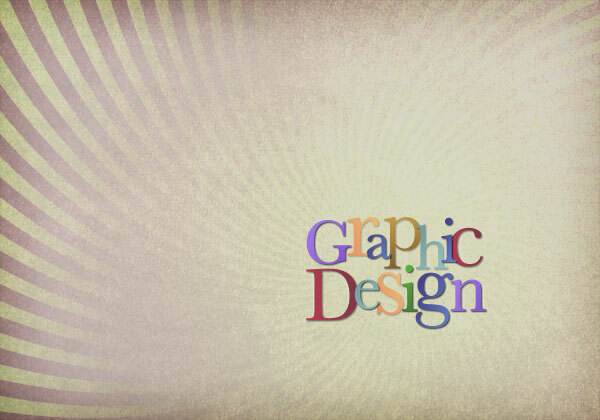 But there are plenty of other facets to freelance graphic designing other than creating beauty. This is a real biggie. Every graphic design company needs it’s clients. My favorite way to get freelance design work to is concentrate on my own site first, backed up with SEO and social media and not to bother with job or bidding sites. Marketing never stops. You need to keep working on your own website, your own brand and your chosen methods of marketing almost every day. This is extremely time consuming and it’s time you don’t get paid for. But experience gained from marketing yourself can be used to provide a better service for your clients. Think of a unique selling point that your customers will “get” immediately. Provide a reason why customers should do business with you. Don’t spend any money on marketing if it is something you can learn to do yourself. Always have a follow-up offer after a project is completed. The best client is one who just gave you money. Occasionally go back to your existing clients with exceptional offers. Develop your business, brand and company’s personality. People buy from people. In business, especially the design business, your best next client is your current client. That’s why it’s essential to develop a great working relationship with them. Clients want value. They want the job done to as high a standard as possible without any complications. That’s why communication is vital. Make sure you understand the client and the purpose of the project. Why do they want to spend this money? If you make the client more money than they spend on you then you’ll be well on your way. Spend as little time as possible talking with the client but when the discussion period is over send a short email to the client detailing the project and the cost. If you do have questions about the brief after this point, do not go back to ask the client. Use your own initiative to solve the problem. This is what you are being paid for. If a client emails you a secondary request, never start work on it immediately. There may well be a follow up email in a few minutes time. Always take on board the client’s suggestions. OK, maybe they haven’t spent the last 20 years designing but it’s their business and an outside point of view is always useful. If you are ever angry or annoyed by a client, don’t pick up the phone or write an email. You are wrong to be angry or annoyed. Get over it. Calm down. Do something else. Contact the client when your mood improves. Like the client. Enjoy working with them. Have fun! Yes, you’re going to have to do some design if you want to be a freelance graphic designer. Follow the work of designers you like and endlessly be on the look out for great design. If you haven’t got anything to do then do a design for yourself – you only get good at design by designing. Have a clear idea of what you want to achieve before starting. With any project, always start with the hardest element or the part that you’re most worried about first. Never spend too long on any one element of a project, especially at the beginning. If you are having problems with a design, move away from it and come back to it later, if possible. Look at it through squinted or blurred vision. Look at it upside down. Continually keep in contact with other designers, illustrators, developers, etc., and don’t be afraid to ask anyone for advice. Whether you do it through social media or in person doesn’t matter, connection with related professionals is essential. Even their bad advice will teach you something. Upload visuals and ask for other people’s comments. Help people who ask for advice. Always answer every non-spam email. Some people have elaborate formulae for calculating their rate. One thing’s for sure it should be more than you think. Whatever you were getting paid as a designer in someone else’s company it should be at least double that. Why? Because, with all the other things you’ll have to do you’ll never spend all your days designing. Try to price jobs rather than to getting paid by the hour. Unfortunately you have to remember to keep records of everything – and have those records easily accessible. You will have to work out ways of simplifying the process. Not only do you have to keep account of the company’s revenue and spending but also you need to record exactly how much time you’ve spent on each job and everything that was agreed between you and the client. I really have had enough of reading; “if you really want to do graphic design, you’re going to have to work really hard and be really committed”. Because most people work hard and are committed. It’s really difficult to work hard at a boring job but people do. I’d love to see some graphic designers working in a shop or a factory. Working hard at and being committed to graphic design isn’t a huge imposition. Constantly focus on the critically few activities that produce exponential results. Don,t get caught up in minutia. This and some of the other ideas above came from 33 rules for maverick entrepreneurs which was written after a brainstorming session with Richard Branson. And here are some other great random lessons from a freelancer from John O’Nolan. Plus, don’t forget you can download my e-book on running a graphic design business and survey about how independent graphic designers make their money. And, as always, I’m more interested in other great pieces of advice anyone else can add. Man, I wish I read this article 5 years ago before I launched the business. I learnt a lot of this the hard way. Soak up every word of this people! Thank you. I learnt it the hard way too! Nice post Rob. Some very useful info and inspiration to get us designers doing what we do… better. One of the things I have struggled to deal with is actually getting paid. I do eventually get it but it’s taking around 2-3 months. What I don’t want to do is fall out with the client over it but when you’ve got a family to feed it’s hard. Any advice out there for that would be great. Thank you, Mark, a few lessons I’d learned. Not sure if they’re gonna help everyone! Thank you, Rob, that’s a good point, in fact, getting paid is almost the most important thing. I’ve got to say I’ve never had problems with late payers – only non-payers, but that’s another story! One thing I would say is to get paid up front wherever possible and say you expect payment soon after the job’s completed, not necessarily after 30 days. However, 30 days is the legal limit and you are entitled to claim interest payments at 8% above the base rate afterwards. I wrote about it here: https://robcubbon.com/charging-interest-on-late-payments But, as you say, you don’t want to fall out with them. Another idea is to charge more next time? It’s a toughie. PS. Did you notice I incorporated your idea about turning stuff upside down? Expanding your network and making good with clients is key. Because sometimes, clients tend to talk amongst themselves. You’d want them to say good things about you. Hello Karen, exactly, no matter who the client is, an impeccable manner and professionalism is important. And always expand you network it will teach you things and find you work. Hello Catherine, thank you for your comment, I’m glad you liked the article. I’m not really sure what the situation is here. I think I’m right to say that any design work you do for a client or an agency does remain your copyright technically. But in practice no one really bothers with signing over copyright for normal little jobs. But are they thinking of using work you’ve done already? That seems a little strange. What sort of work is it? Feel free to email me with the details if you want. I just want to say Kudos to you, Rob! You said it well. I agree about the working hard as a designer, if you love it, isn’t working hard… What is working hard… is when you have to do the other parts of the business like estimating, marketing and so on. Designing is a passion for me. Exactly, Lisa, really hard work is done by all those people who really hate their jobs. We are very lucky. Hi Rob, great post and very helpful, thanks!. I especially like your point about ‘I’d love to see some graphic designers working in a shop or a factory’. As a freelance designer i know it can be hard at times and I think it’s important to remember why we all do it and the fact that there are people with other stressful jobs that just get on with it. What’s your thought on clients who want to see supporting visuals before committing even after the price has been agreed and they have seen your portfolio? This has happened a few times recently and on reflection I think it only confuses things because you can only design what the client is looking for when you have officially started the project. Hey, thanks, Paul, glad you found the post useful. What do you mean “clients who want to see supporting visuals”? If they want you to do some work (visuals) before agreeing to pay you then I’d strongly advise you to lose the client. I have a strong rule of never doing anything before getting paid. That way everyone knows where they stand. And good clients always understand and appreciate this. Sure, clients can ask for work samples of stuff I’ve done already in a certain niche or area. And I can talk about my work on the phone. But we have portfolios online for clients to see, so once they commit, they’ve committed and they have to pay. That’s my 2 cents! Best of luck, Paul. Thanks Rob, I think you’re right. I’m definitely sticking to some of the fee paid upfront at least. I think this way I can feel confident the project will run smoothly. Thanks again. I think it puts the client and design off on the right foot when a percentage is exchanged up front. Very useful, thank you Rob. Thank you, Davie, and thanks for the tweet! This single tip will save newbies hours of time. I’ve a back end web developer but this is equally true for my work. Many clients fire off emails and change their mind and adjust as they go.